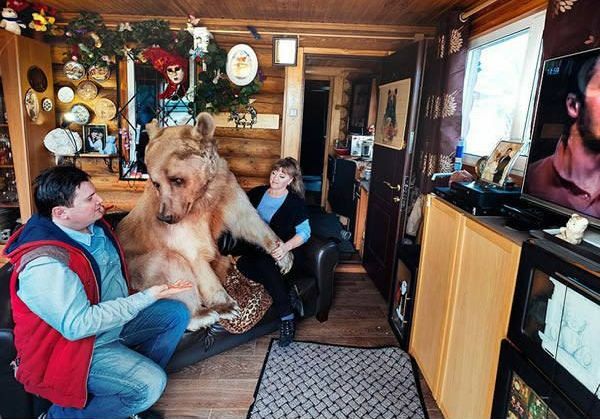 This is a family like you’ve never seen before. 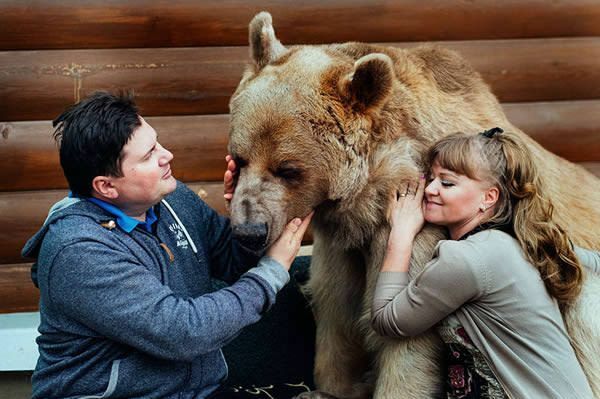 Svetlana and Yuriy are proud parents of a 23-year old bear named Stepan. 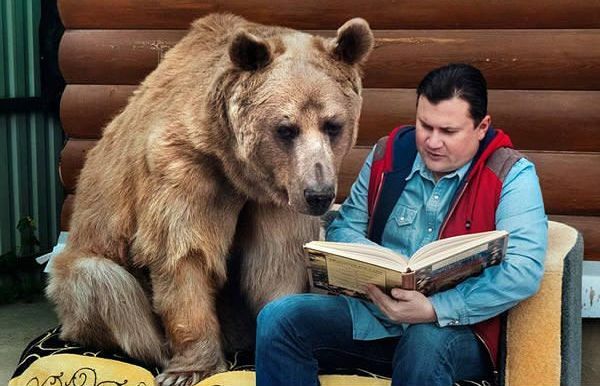 Yes, you read it right- they have a bear. 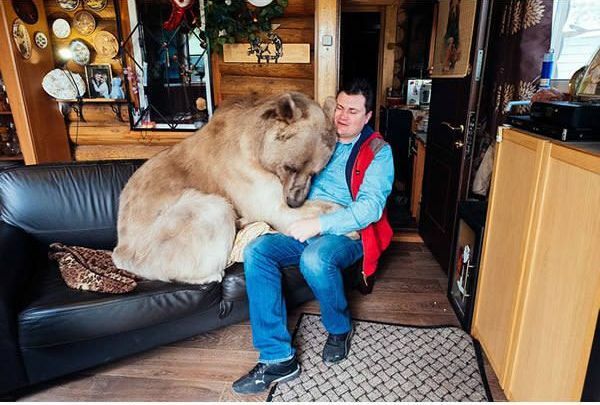 The couple adopted Stepan when he was only 3-months old. 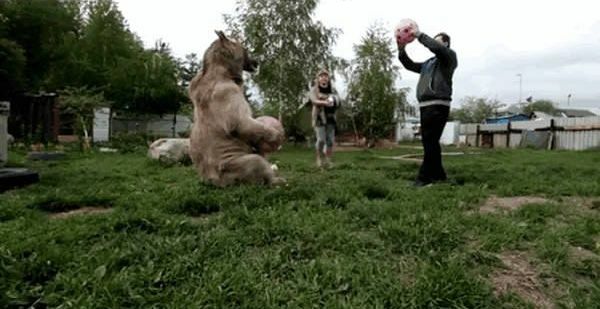 Stepan was found abandoned in a forest, in a bad health condition. 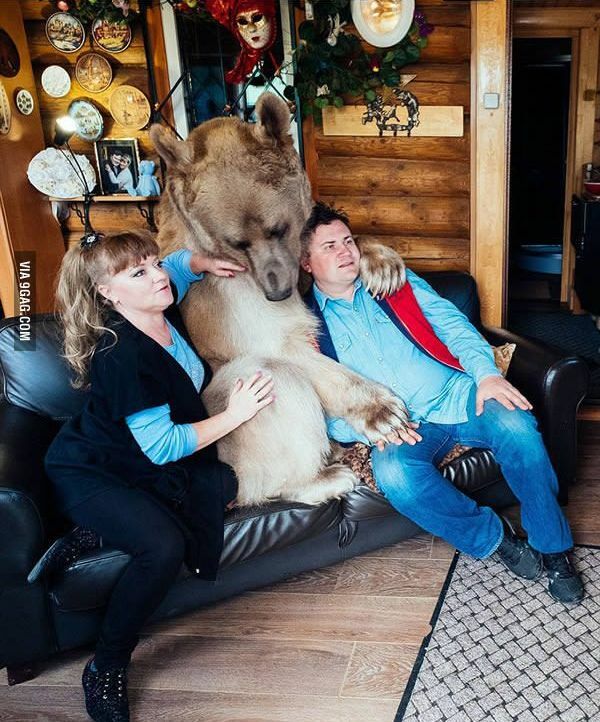 The couple decided to adopt the orphaned bear and nurture him to health. Stepan is now 23-year old loving goofball. 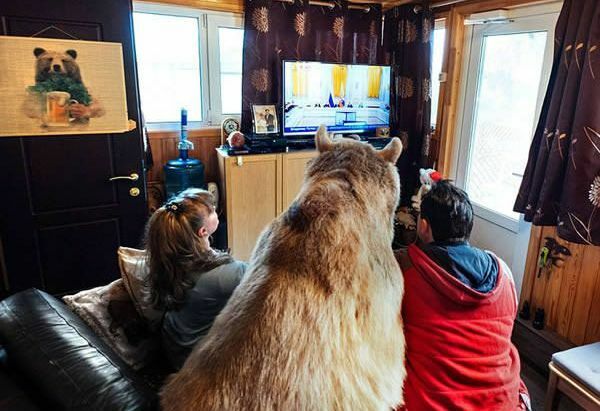 “He absolutely loves people and is really a sociable bear. 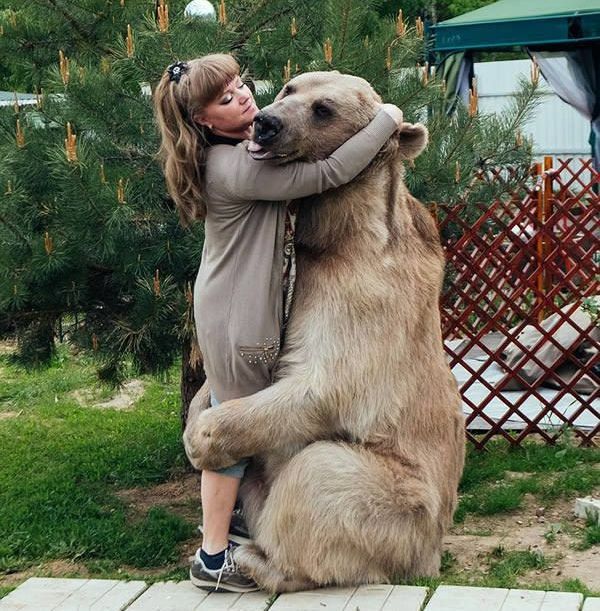 Despite what people think, he’s not aggressive at all. We have never been bitten by Stepan. 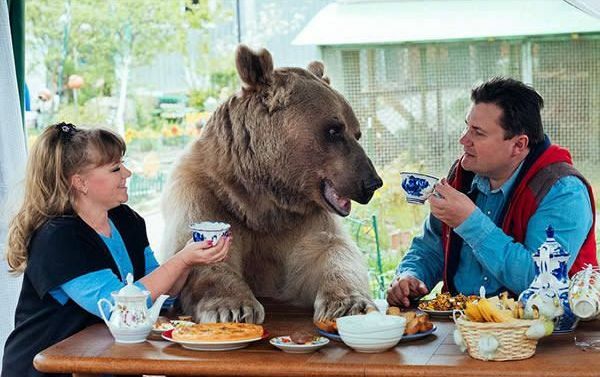 The bear eats 50 pounds of fish, eggs and veggies per day. 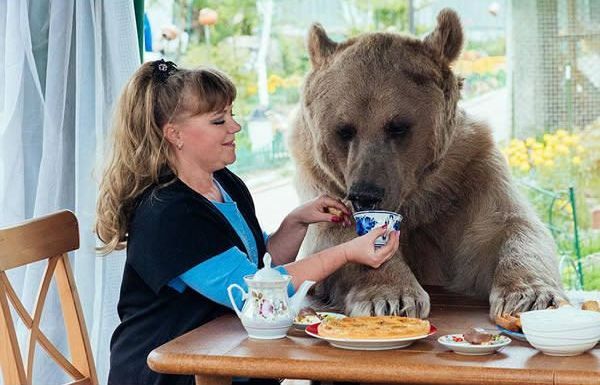 He also loves drinking tea. 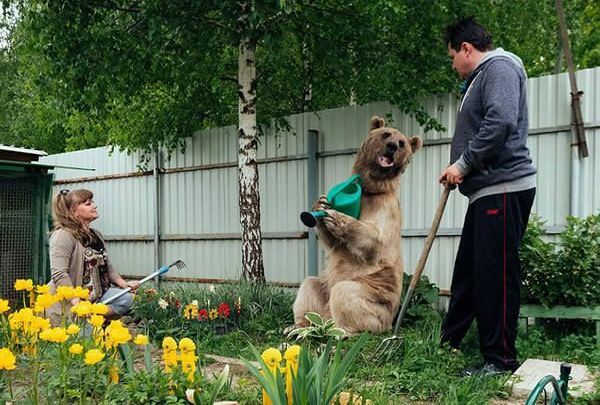 Gardening is his ultimate passion, but he also loves snuggling with his parents on the couch. Check out this unique family!